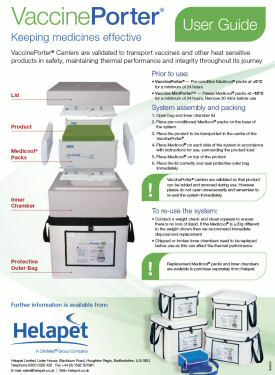 VaccinePorter® Carrier Systems - Helapet Ltd.
Helapet offer a comprehensive range of fully validated VaccinePorter® Carrier Systems, ideal for the controlled transit of vaccines and temperature sensitive products that require storage between +2°C and +8°C. 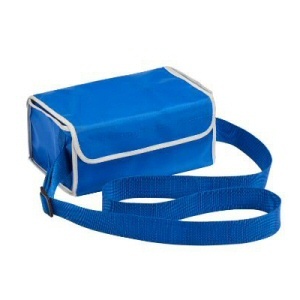 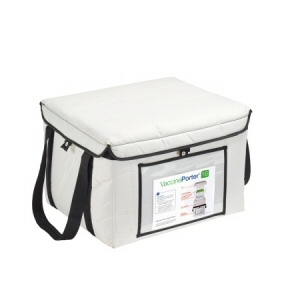 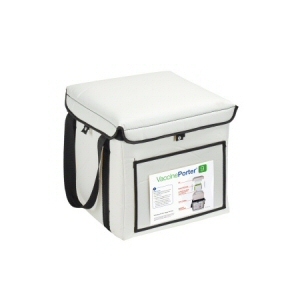 Helapet VaccinePorter® Carriers comprise of a robust carrying bag with a fully replaceable polystyrene inner chamber and cool packs for maintaining thermal performance. 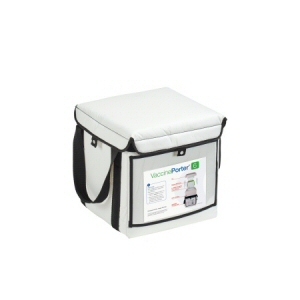 Easy-to-use and cost effective to maintain, the Helapet VaccinePorter® is the bag of choice from transporting small samples to supporting vaccination and immunisation programmes. 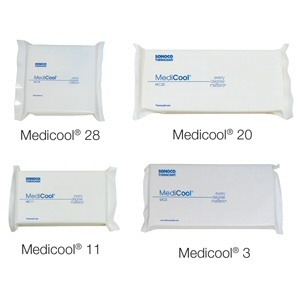 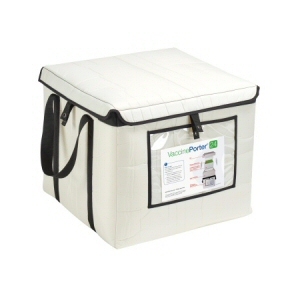 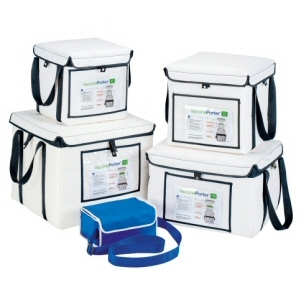 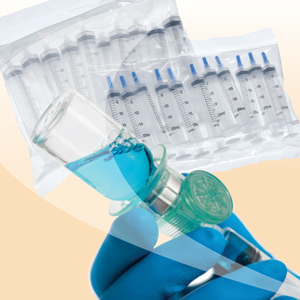 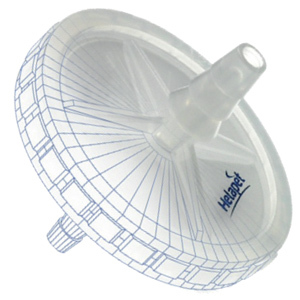 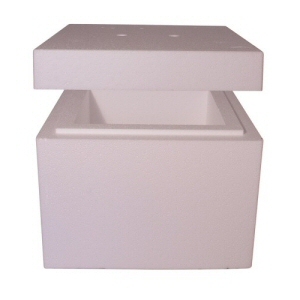 Using Medicool® cool pack technology improves storage capacity for the user and negates the use of ice. 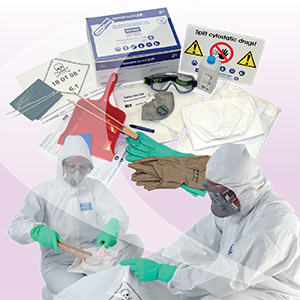 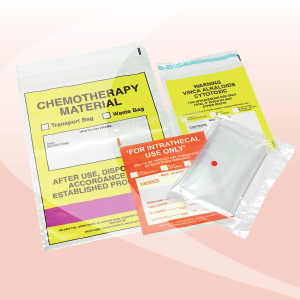 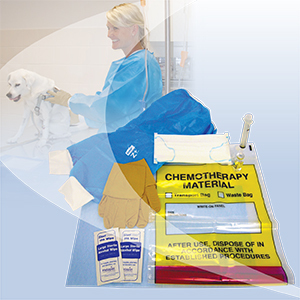 The outer bags contain a clear document holder allowing insertion of instructions and documentation. 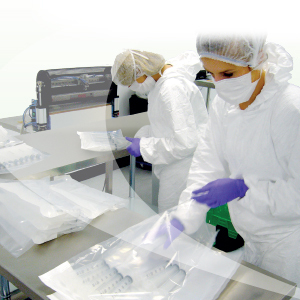 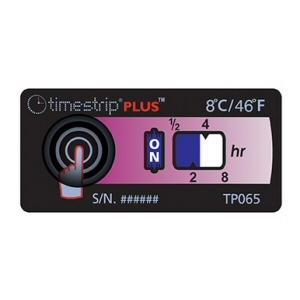 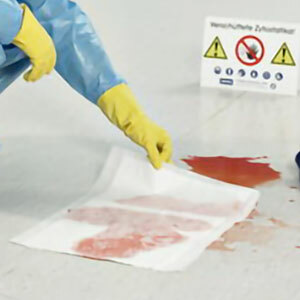 A tamper evident facility also provides additional security. 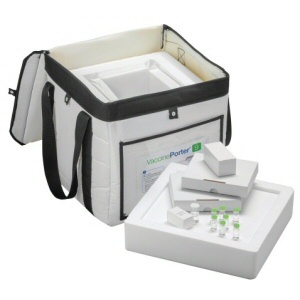 Available with a choice of carrier sizes, the Helapet VaccinePorter® is versatile enough for use in a variety of medical, pharmaceutical and community healthcare applications. 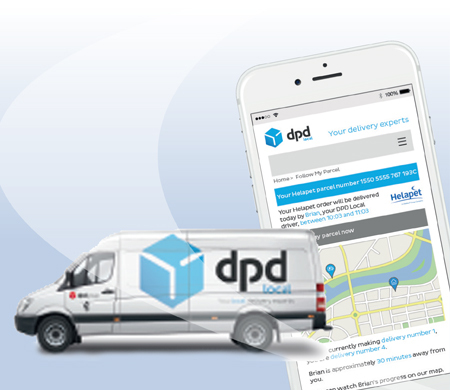 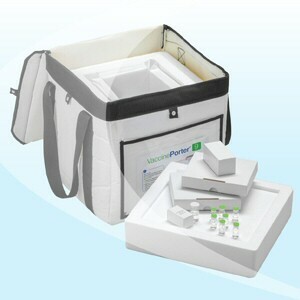 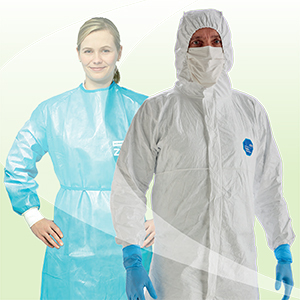 Tailor design your VaccinePorter® carrier with an array of colours and bespoke branding to your requirements. 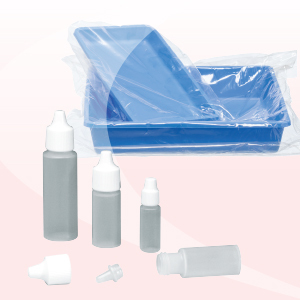 Subject to minimum order quantity. 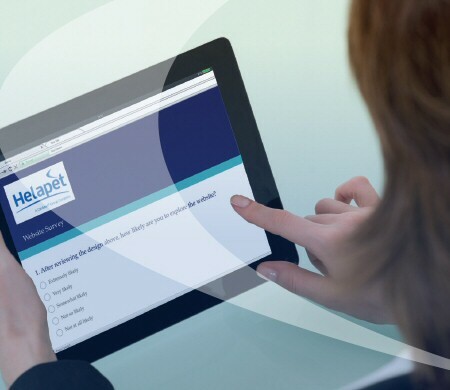 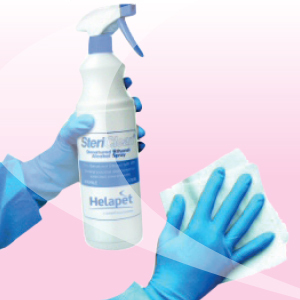 Contact sales@helapet.co.uk to learn more.